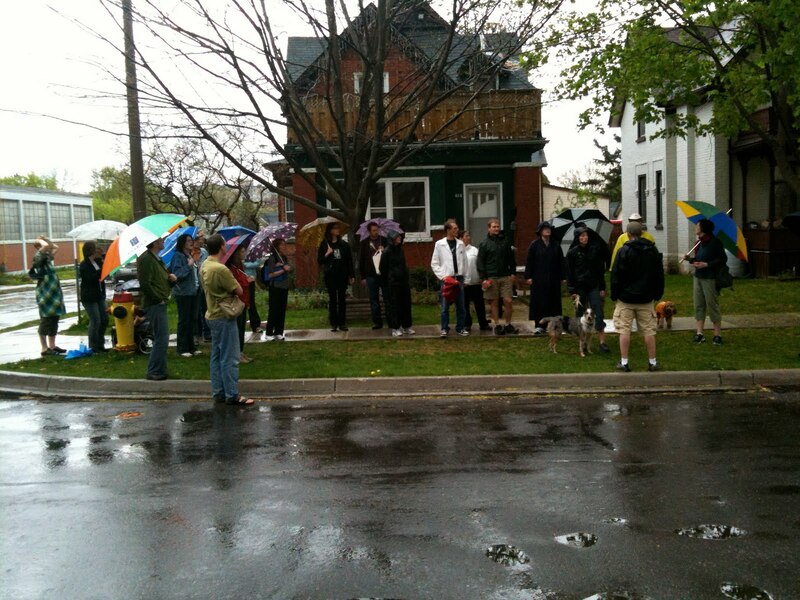 Thanks to everyone who came out last week for Jane’s Walk — Mount Hope Edition (2nd Annual!). We had from 20 to 25 folks throughout the walk despite the fact it rained for most of the morning. Some of us attended the Tannery District walk that same afternoon which was showered with sunlight. I will add more of a writeup throughout this week with more pictures as well. It was great to meet old friends and make some new ones. Mary, Wayne, Ted and Joan took turns narrating parts of the walk and we had some others who provided a valuable historical perspective because they had grown up in the area many years ago. Our area has many stories and a rich history.